Are you or your organization interested in running a food drive to benefit Second Harvest? You will need to have some way to collect the food. Gather boxes or have your donors use bags. At the completion of your drive, drop collected items off at the warehouse. Food donations can be dropped off at our warehouse at the DONATION DROP-OFF door on Monday through Friday from 8AM until 4PM. Consider donating food from the Super Six list of food. The most needed items are the "Super Six": cereal, peanut butter, canned vegetables, tuna fish, soup and beef stew. Food with an expiration date earlier than the previous year, cannot be used. We can offer you stats and information to include in your marketing materials. 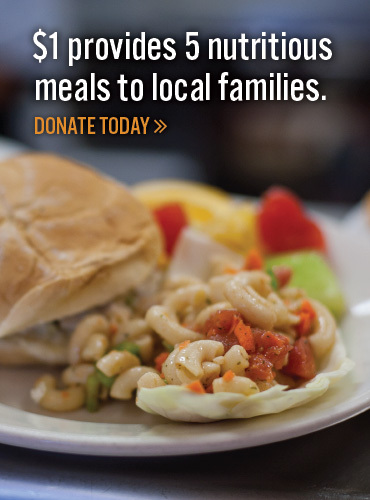 For every one pound of food donated, we can provide 1.2 meals. For more information on running a food drive contact Kacy Porter at (440) 960-2265 x 307 for more information. Also consider being a part of our annual Harvest for Hunger campaign which runs from March - April.